Pokémon Go players can look forward to a new event starting in just 24 hours! The new Hoenn Celebration has been announced and will feature, shiny Zigzagoon & Taillow, increased Hoenn region spawns, returning legendary raid bosses, and special Hoenn themed gear based off Team Magma and Aqua. What can you expect from the Hoenn Celebration in Pokemon GO? 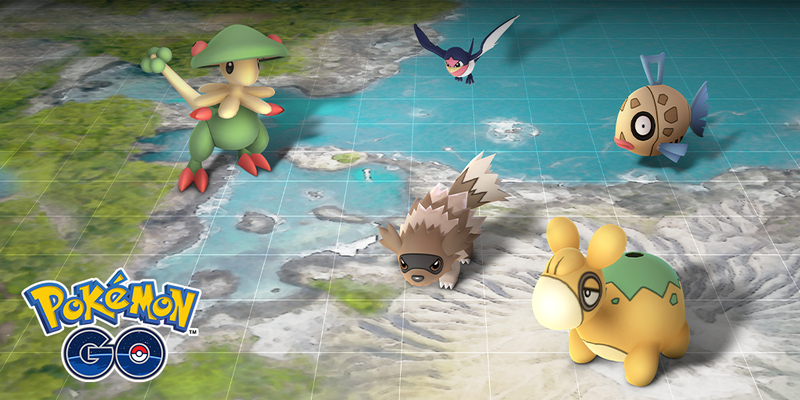 Legendary Pokémon originally discovered in the Hoenn region will have their chance to shine as well. Look for Kyogre and Groudon to make appearances in Raid Battles during the event. Additionally, if you evolve Shroomish into Breloom during this time, it will know the exclusive move Grass Knot. And if you’re very lucky, you might even encounter Shiny Zigzagoon and Shiny Taillow! That’s a lot of Hoenn region excitement, so get ready to head out and explore!